The staff at Wolf Creek Indian Village and Museum are very excited about the All Nations Green Corn Festival and Pow Wow July 16-18, 2010 at the Bland County Virginia Fairgrounds, 123 Fairground Road, Bland, VA 24315. This is the 3rd annual All Nations Green Corn Festival & Pow Wow. It was very special that the drums sounded the first year in the valleys of Bland County, probably for the first time in more than 200 years. Every year it gets better. We hope many who missed it last year will be able to attend! This year, if there is rain, the county has finished the Pavilion at the fairgrounds and we can move the activities inside of the Pavilion. Arvel Bird - "Lord of the Strings"
Fans worldwide call legendary violinist Arvel Bird, “Lord of the Strings” for his powerful talent and artistic passion that draws audiences to his unique fiddling style. 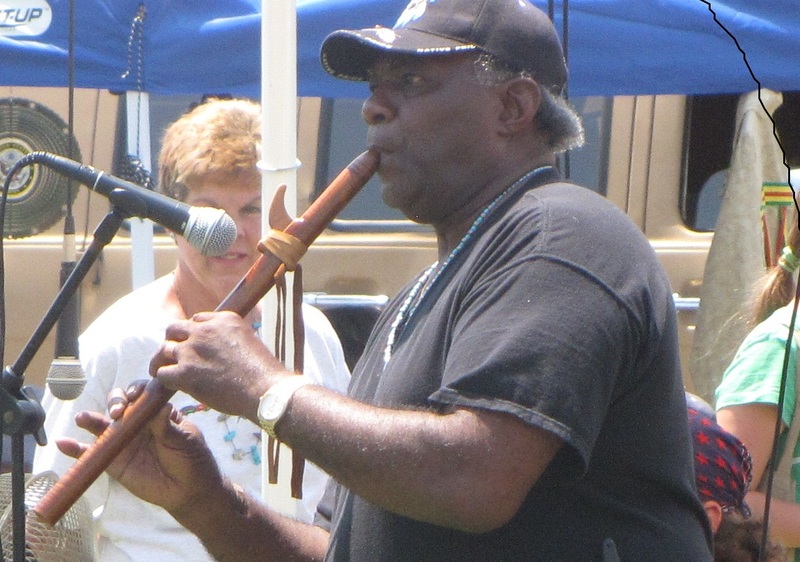 Classically trained, Bird calls on his Native American and Celtic heritage to create a repertoire that ranges from classical, new age, Celtic, and folk, to jazz, blues and fusion. Award-winning violinist, flutist and storyteller, Bird’s charismatic performances extend beyond his flawless music. An expressive storyteller, he weaves stories of Native American spirituality with haunting melodies to give vision to his music. He speaks of Native American wisdom, the sacredness of Mother Earth, the environment and the sacred totems of the animals with whom we share this planet. Bird’s messages resonate with today’s audiences often feeling overwhelmed by today’s hectic, fast-paced world. Bird’s energetic and alluring stage presence and blend of classical and foot-stomping fiddling are what make him one of the most sought-after Native American musicians on tour today. 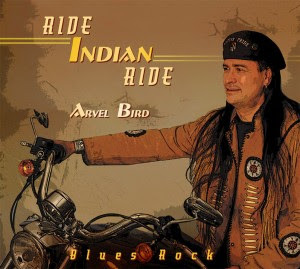 With 25 CDs and 2 DVDs under his belt, Native American Artist of the Year Arvel Bird released his latest album in January, 2010, Ride, Indian, Ride. 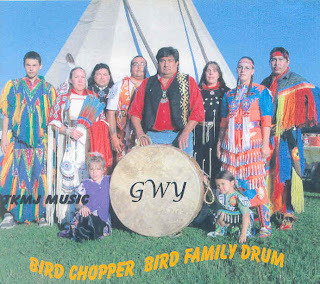 Host Drum - The home of Bird Chopper is Qualla Boundary. It’s better know as the Cherokee Indian Reservation in North Carolina. Previously called Blue Earth (1975-1996) the drum was renamed in honor of Ric Bird’s grandfather, Bird Chopper Bird. Until the loss of Nan in 2004, there were four generation of singers. Today, two families have three generations who continue the traditions of both drum and dance. Bird Chopper sings Northern and Southern and they also have their own Cherokee songs. They were the first drum to introduce the Cherokee Flag Song to the Pow Wow circle. Ric Bird - lead singer for Bird Chopper, is known professionally as “Ric Youngblood” “Cherokee Warrior” – professional Wrestler (1978-2005 (Retired) Ric held 4 World Titles during his wrestling career. Along with Ric, all of their singers are champion dancers – Fancy; Grass; Straight; Traditional; Hoop. Dry Creek Medicine Drum – Native American Drumming and Dance Performance Group. Dry Creek Medicine is a Southern Style Native American Drum Group. Three of their members are enrolled members of the Edisto Tribe of the Natchez-Kusso Indians from Ridgeville, South Carolina. One member is Cherokee, and one member is Creek-Cherokee. Ramona Moore Big Eagle, M.Ed. (Tuscarora/Cherokee) is an Oral Historian and Legend Keeper of the Tuscarora Nation of North Carolina. An enrolled member of the Nation, Ramona has served on the Tribal Council and in various other capacities for the Tuscarora. She earned a Master of Education Degree from East Tennessee State University in Reading and Storytelling and a Bachelor of Art Degree in Psychology from Catawba College. As the Director of Heritage School, Ramona taught students for over ten years. Ramona travels throughout the United States and Canada as a Motivational Speaker, Cultural Educator, Consultant, Workshop Facilitator and Storyteller. Her workshops and programs of American Indian culture and history delivered through the art of Storytelling, authentic artifacts, music, drumming, dance, and crafts have been educating and empowering audiences of all ages since 1976. Ken Watson - Flute player Update: Ken won't be able to join us as he is GETTING MARRIED! (Hey, we are on Indian Time, you do things when it's right to to them!) We wish he and his new wife blessings and hope to see both of them next time. We are lining up a replacement as we speak. Ken “Cloudwalker” and his wife Celeste “Spiderwrulf” started Six Directions Traders over 10 years ago. It began by providing a service for the people, by having items that they could not readily find. To this day we strive to continue this by the Will of The Creator, Service and items we provide for the People. We were Volunteer Firefighters for 8 years before moving to Florida. In 2001 in the United States of Native America, we realized that Police, Fire and EMS were our Warriors at home and were welcomed into the Grand Entry behind the Veterans. This was Very moving for us. Ken was often asked to Smudge people before they went into the circle, especially if it was not provided at the pow wow. Eventually he was asked to be Arena Director and/or Keeper of the Circle at pow wows throughout Florida. During our travels over summer, through the Southeast, Ken was picked up as Arena Director in many other states. "Thunder" is Cherokee, Male Traditional Bustle Dancer. He dances at up to 40 pow wows per year, often serving as male head dancer or circle director. "Thunder" is a Vietnam Air Force Veteran. 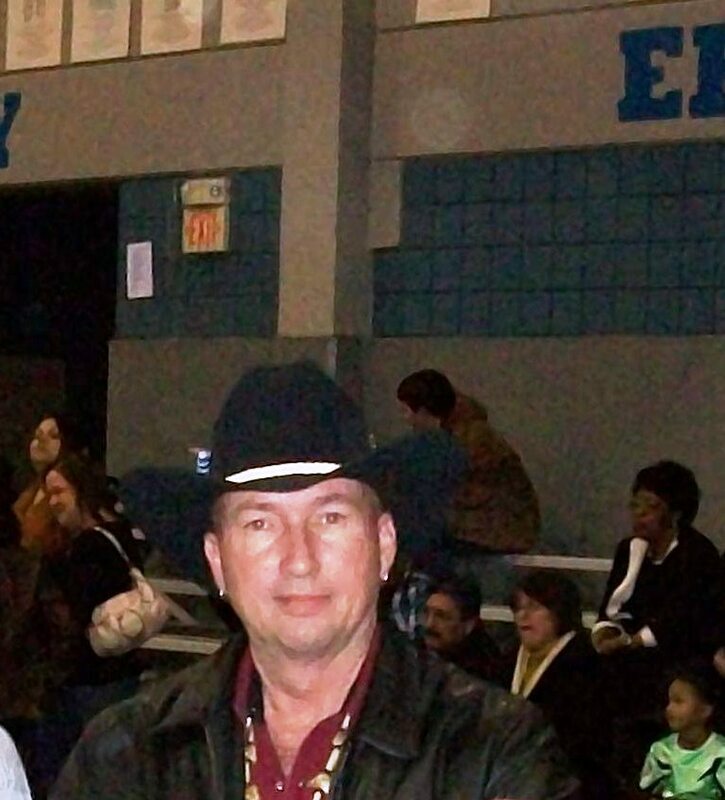 He is owner of Cranford Gun Works, Cranford Tax Service and a member of the Native American Better Business Bureau. " I am honored to be chosen as head dancer and looking forward to the event. I will strive to do the best job possible"
"E Nah Dah" is Cherokee, a Southern Female Traditional Dancer. She dances at as many as 40 pow wows per year on the east coast. E Nah Dah dances toshare her culture and educate all people. School, group and civic presentations are also included in her focus to share her culture and educate others. "It is always such a great honor to be selected as head female dancer. I take the job very seriously and strive to represent all Native Americans in a positive way". Bring a blanket and/or chair, an umbrella for rain or shine and join us. Looking forward to seeing everyne! I never want to leave once we get up into those mountains.